Patrol Operations provide the majority of police interaction with the public. 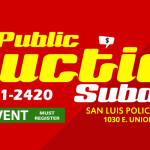 This division is comprised of the men and women who daily serve the public by patrolling the City of San Luis streets and responding to calls for service.The San Luis Police Department Patrol Division is made of four patrol squads. Each patrol squad has a sergeant assigned to them along with several patrol officers. The patrol division is the backbone of the police department which is responsible for patrolling 33 square miles of city limits. Officers also patrol the outskirts of the city and assist other police departments on a daily basis. The duties of the patrol division is to ensure public safety and to respond to calls for service. Sergeant Sauceda is a 17-year veteran of the police department. 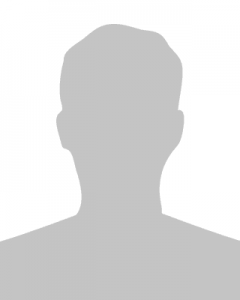 Sergeant Sauceda’s previous assignments have included being assigned as a Detective. 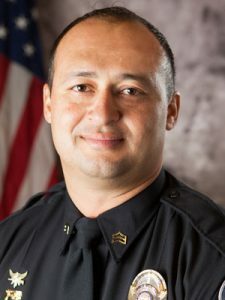 Sergeant Sauceda is a Field Training Coordinators, General Instructor, the Reserve Officer Program Coordinator, Citizens Academy Coordinator and is the main contact person for the Civilian Ride along Program. Sergeant Sauceda is a graduate of the Arizona Western Collage Law Enforcement Training Academy (LETA). Sergeant Reynoso is an 11- year veteran of the police department. Sergeant Reynoso’s previous assignments have included being assigned as a Detective and Police Corporal. Sergeant Reynoso is currently a Use of Force Instructor, IPMBA Instructor, Police Chaplain, and the department’s Training Coordinator. Sergeant Reynoso is a United States Marine Corps veteran and graduated from the Southern Arizona Law Enforcement Training Academy. Sergeant Botello is a 9 year veteran of the San Luis Police Department. 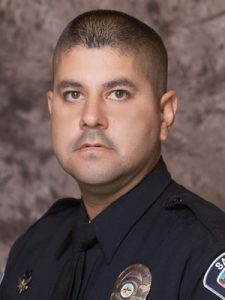 Sergeant Botello’s previous assignments include Explorer Program Coordinator, Bike Patrol, Traffic Enforcement Unit, Detective assigned to the Arizona State Gang Unit, Field Training Officer and Police Corporal. Sergeant Botello is currently a Physical Fitness Instructor and the lead Tactical Driving Instructor and High Risk Stops Instructor. 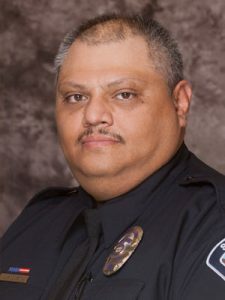 Sergeant Botello graduated from the Northern Arizona University and holds a Bachelors Degree in Criminal Justice. Sergeant Botello graduated the Arizona Law Enforcement Academy in South Mountain, Phoenix. Corporal Guevara is a 5 year veteran of the police department. Corporal Guevara’s previous assignments have included being assigned as a Bike Patrol Officer and also a member of the Special Enforcement Unit (SEU). Corporal Guevara is a Field Training Officer, General Instructor, Certified Emergency Medical Technician (EMT), Tactical EMT, the Volunteer Program Coordinator, Reserve Program Liaison, and a Citizens Academy Liaison. 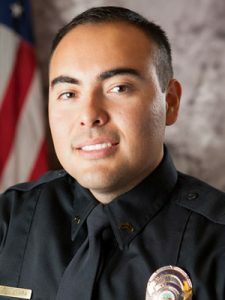 Corporal Guevara is a graduate of the Arizona Western Collage Law Enforcement Training Academy (LETA). Corporal Miller is a 12-year veteran of the police department. Corporal Miller previous assignments have included being assigned to Patrol Division and Canine Unit. Corporal Miller is a General Instructor, Physical Fitness Instructor, and ICS Instructor. Corporal Miller is a graduate of the United States Border Patrol Canine Academy in El Paso, Texas (CCEP), the Arizona Department of Corrections Service Dog Academy, and Glendale Community College Law Enforcement Training Academy (LETA).